Everyday cakes are not pretty. They don’t beg to be frosted and make an underwhelming entrance to the table. But these are the cakes you can keep on your counter. They’re better the second or even third day. They make excellent snacks, go well with tea or coffee, and you always have room for a little slice after dinner. I’ll admit to getting into a bad habit of grilling thick slices with butter on hard mornings. Pretty cakes that lead with frosting and follow with the cake have their place. They take time and show considerable care when presented on occasions. I hope everyone has a homemade birthday cake, every year. 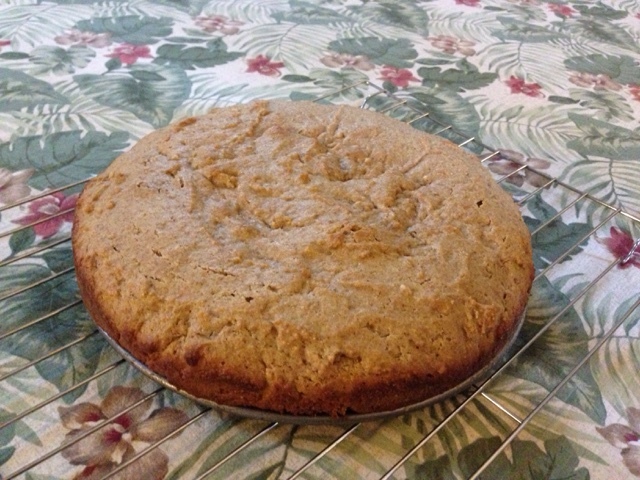 But on the in between days, our every days, try a simple cake. Big, decadent, frosted desserts are wonderful on occasion, but I have to say, I agree with Sarah. They aren't my go to, nor are they what I want most days. Even for my birthdays I normally prefer a crumble, a cobbler, or a cookie cake to a large frosted thing. 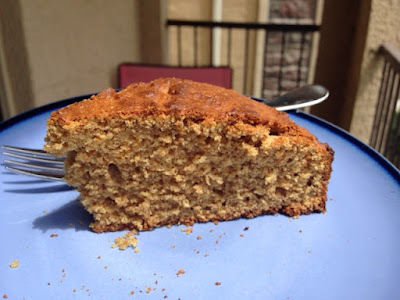 However cakes like this, denser, milder, and simpler, they are wonderful anytime. 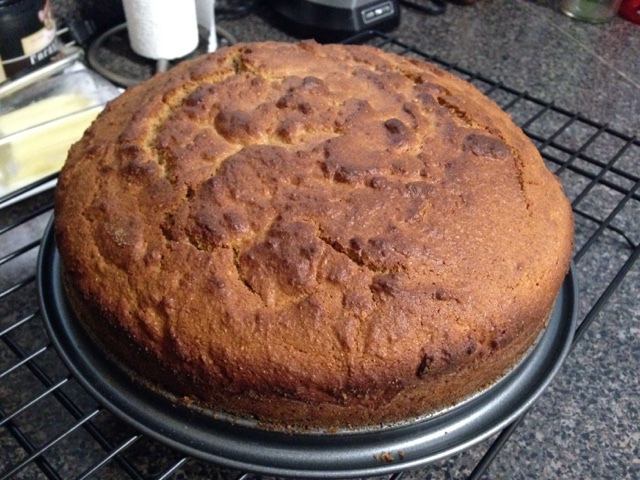 I made this one first in Pennsylvania, since I wanted to try the original recipe before I tried adapting it. Plus, then I had two very willing taste-testers to help me consume it. The second time I made this one, was attempting both high altitude adjustments and some personal taste adjustments, with the intention of taking most of it to yoga teacher training. I have to say, it was harder then I thought to share! I won't fret though, I will certainly be making this again soon! 1. Heat the oven to 400°F. Butter and flour a 9-inch springform pan and set it aside. 2. Beat the butter and sugar together until light and fluffy, about two minutes. Add the eggs, one at a time, beating to incorporate after each addition, then add in the vanilla. Scrape down sides of bowl with a rubber spatula. Set aside. 3. 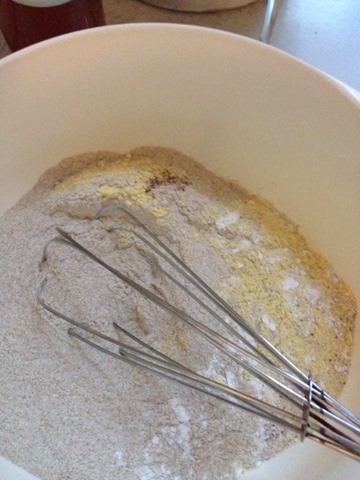 Whisk together the flour, cornmeal, salt, baking powder, and nutmeg. 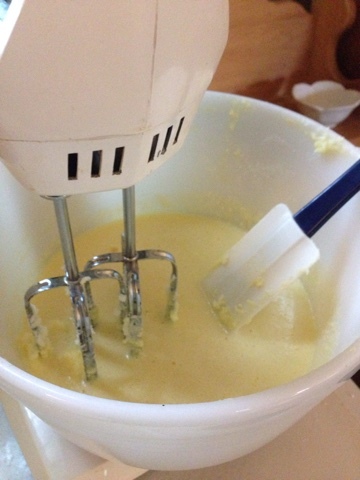 Add the flour mixture to the batter in 3 parts, alternating with the buttermilk, starting and ending with flour. Make sure each addition is incorporated before adding the next, but don’t over-beat it at the end. Spread the batter in the prepared pan and smooth the top. 4. 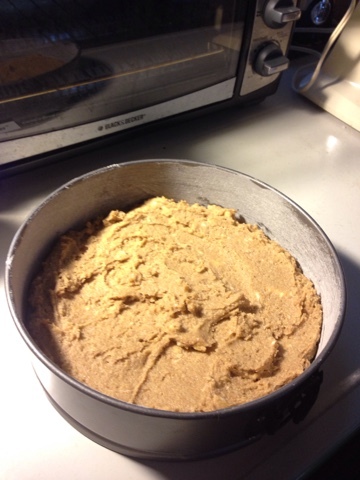 Bake until the top is puffed and golden brown and a tester inserted in the center comes out clean, 20 to 30 minutes. Cool on a rack before serving warm or room temperature. With less then a cup of sugar, this cake is not super sweet; and because of the whole wheat flour and corn meal, its not super soft. In fact, it reminds me more of a loaf or bread then a normal cake. 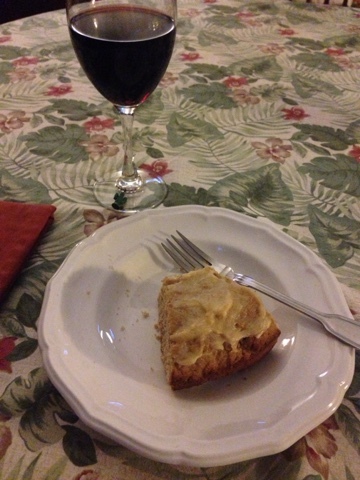 But it is also lovely with honey butter, and so satisfying grilled with a little butter and smeared with jam. Enjoy and let me know what you think!